Volunteers are essential to the success of Manor Connections. Residents of all ages can volunteer for tasks that suit their schedules, skills, and preferences. The time you offer each month can make a world of difference to a senior who is no longer able to drive to the doctor or the grocery store. FREE General Liability and additional specialized Volunteer Insurance – protecting you while you help. FREE Background and Motor Vehicle records check – ensuring our clients that our volunteers are the best of the best. FREE Industry standard training including senior mobility and sensitivity, HIPPA compliance and the nuts and bolts of what we do. Being an escorted driver. Using your own car to drive and accompany an older adult to a social, religious or medical appointment or the grocery store and return them back home. Most appointments are scheduled mid-day to avoid rush hour traffic and take two to three hours. Going shopping for someone who may not be able to get out on their own. Take along another’s shopping list as you do your own weekly shopping. It is a simple, but much-appreciated way to help a neighbor who may be homebound. Delivering and putting away their groceries while visiting with them in their home can make a real difference in how connected they feel. Visiting a neighbor, who may be lonely and isolated. Enjoy a visit and a special friendship with an older adult by visiting them once a week. This relationship enriches the lives of both the volunteer and client. Experience the satisfaction of knowing that you are making a difference in your own neighborhood. Imagine a time when you are no longer able to drive or take public transportation. The need to get to the grocery store, to the barbershop or hairdresser, bank and pharmacy does not diminish once you are no longer able to drive yourself. Help someone else feel better. It’s the easiest way to have your spirits lifted. The opportunity is flexible and not too demanding of your time. You can make your own volunteering schedule. You can help when you are available and experience no feeling of guilt when you are not. Learn valuable history and life lessons. Seniors have many, many wonderful stories and much wisdom to share. They can also learn and benefit from your stories and activities. Live longer and happier lives. 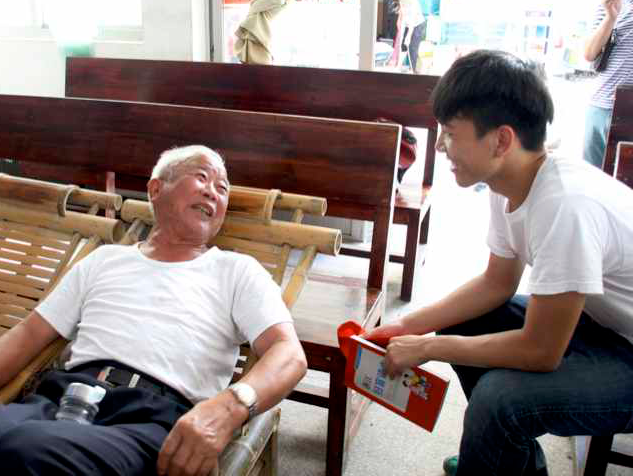 Statistics show that people who volunteer have healthier vital signs. Receive volunteer liability protection. All volunteer assignments are covered under our umbrella liability policy. Experience a thorough orientation before you begin, staff support while you volunteer, and recognition and life skills training for the wonderful work you accomplish as a volunteer.